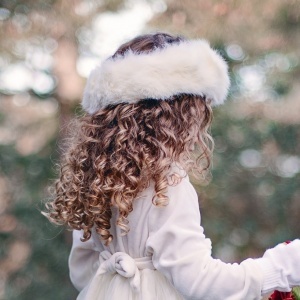 Beautiful girls ivory faux fur head band, perfect for your little girls christening day, a winter wedding or just for that special occasion. This beautiful ivory (off white) head band is made up of a soft faux fur with a fleece lining so will keep her head lovely and warm. Elasticated on the back for a secure fit.